Matt Martians has been crafting some of the mellowest, vibiest music around alongside Syd Tha Kyd in their group, The Internet. With songs such as "Special Affair" and "Give It Time," Martians and crew proved themselves more than capable of setting the mood for a night of Netflix and a whole lotta chill. Now, Martians is showing that he is equally as adept at getting the party started as he is at providing the soundtrack for the afterparty with his latest single, "Can't Spend the Night." For the song, Martians links up with Arkansas-bred/LA-based rapper/singer Kari Faux for this superfunky tune. "Can't Spend the Night" finds the two explaining how they value time spent with their boo as much as they value time spent alone. Backed by some well-placed handclaps and a bassline worthy of the disco-era, Martians and Faux try their best to let their not-quite-significant lover down easy with lyrics like, "Don't get it confused, 'cause I'm feeling you / But I'd rather be alone, now you gotta go home." The sentiment is clear; while fun is being had by all, sometimes a person just needs some alone time. And while basking in the afterglow of some good good is always nice, who could stay mad about being shown the door with a track this bouncy? I mean, at least you can two-step your way to your car, right? 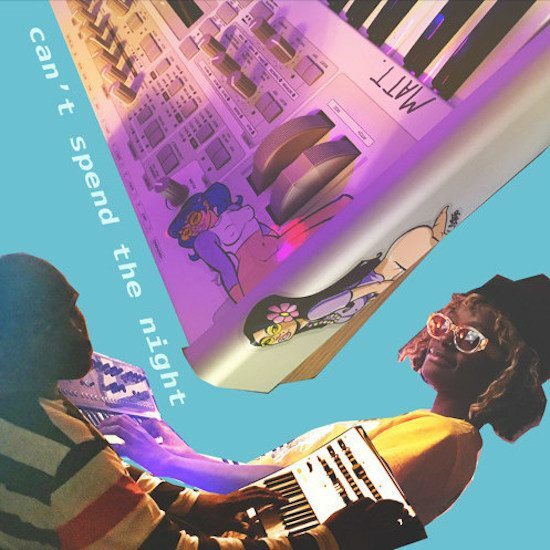 "Can't Spend the Night" is the latest solo-release to come from Martians, who has already announced plans to release a solo project while Syd puts the finishing touches on hers and comes after the release of 2015's GRAMMY-nominated Ego Death. 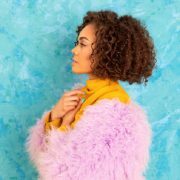 Meanwhile, Faux is building quite the name for herself following the release of her album, Lost En Los Angeles earlier this year and counts Childish Gambino as one her earliest fans and supporters. As we continue to wait for more information regarding more music from Martians and Faux, we can at least play catchup by revisiting their catalogs via SoundCloud while keeping our fingers crossed that this is just the beginning of this duo's collaborations.